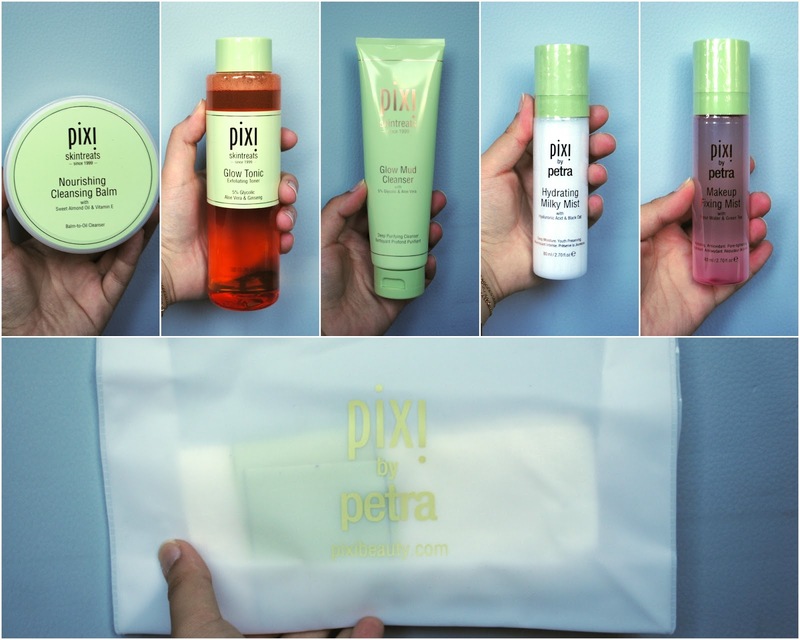 It really is no secret by now how much I love the Pixi Glow Tonic, so when I found out that they were expanding their skincare range, it's safe to say I was pretty excited. They have added a range of items from cleansers, serums, moisturizers, sprays and cleansing cloths. I finally got a chance to pop into the shop earlier this week, so here are a few of the goodies from the range that I picked up. The first thing I got was some more Glow Tonic for myself and as gifts, as mine was running out and I have a few friends who would love it. I then opted for the Cleansing Balm, as I love using this kind of product to remove my makeup at the end of the day. I've tried the Emma Hardy one, which I like-not-love, so I'm hoping this one will be what I've been looking for. It also came with a free cleansing cloth which is great. Next I picked up the Glow Mud Cleanser because I always double cleanse at night, so this could be used with the balm at night, or as my single cleanse in the morning. I'm generally a fan of mud masks, but i've never tried a mud cleanser, so hopefully this will be good for my combo/oily skin. The last two things I got were mists, one for myself and one for my friend. I got the Makeup Fixing Mist since I've been in need of a makeup setting spray, and sometimes no amount of primer or powder can get you through a hot and sweaty day. Finally, the Hydrating Milky Mist I got for my friend who has very dry skin, as she could use it as a hydrating toner step in her routine, or throughout the day to keep her skin refreshed. I don't think I've ever been this excited to try out new skincare products, and I'm not exactly sure if that is a good or bad thing. I will let you guys know how I get on with the products once I've used them for a few weeks to help you figure out which ones are worth trying out.